Wakabayashilite: Mineral information, data and localities. 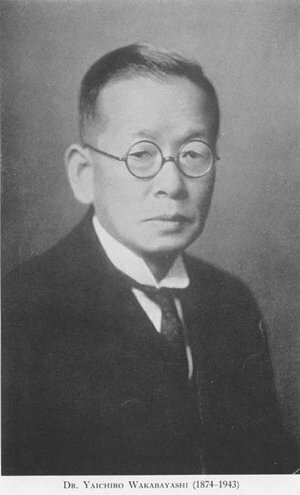 Named after Yaichiro Wakabayashi (30 August 1874, Kanazawa, Ishikawa Prefecture, Japan - 1943, Tokyo, Japan), mineralogist, Mitsubishi Mining Company (Japan). The mineral was discovered in his collection. 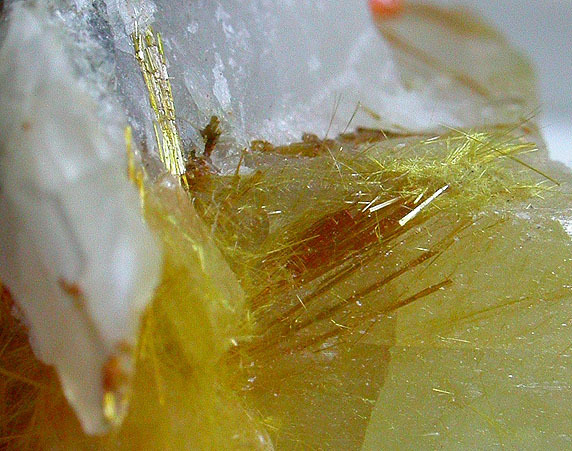 This page provides mineralogical data about Wakabayashilite. National Science Museum, Tokyo, Japan, MA5635. National Museum of Natural History, Washington, D.C., USA, C252, 98012, 94600. Realgar 10 photos of Wakabayashilite associated with Realgar on mindat.org. Smithite 6 photos of Wakabayashilite associated with Smithite on mindat.org. Calcite 5 photos of Wakabayashilite associated with Calcite on mindat.org. Stibnite 5 photos of Wakabayashilite associated with Stibnite on mindat.org. Chabournéite 4 photos of Wakabayashilite associated with Chabournéite on mindat.org. Twinnite 3 photos of Wakabayashilite associated with Twinnite on mindat.org. Orpiment 3 photos of Wakabayashilite associated with Orpiment on mindat.org. Sarabauite 3 photos of Wakabayashilite associated with Sarabauite on mindat.org. Pierrotite 1 photo of Wakabayashilite associated with Pierrotite on mindat.org. Getchellite 1 photo of Wakabayashilite associated with Getchellite on mindat.org. Kato, A., Sakurai, K., Ohsumi, K. (1970) Wakabayashilite (As,Sb)11S18. in Introduction to Japanese Minerals, Geological Survey of Japan: 39: 92-93. Fleischer, M. (1972) New mineral names. American Mineralogist: 57: 1311-1317. Scott, J.D., Nowacki, W. (1975) New data on wakabayashilite. The Canadian Mineralogist: 13: 418-419. Bonazzi, P., Lampronti, G.I., Bindi, L., Zandari, S. (2005) Wakabayashilite, [(As,Sb)6S9][As4S5]: crystal structure, pseudosymmetry, twinning, and revised chemical formula. 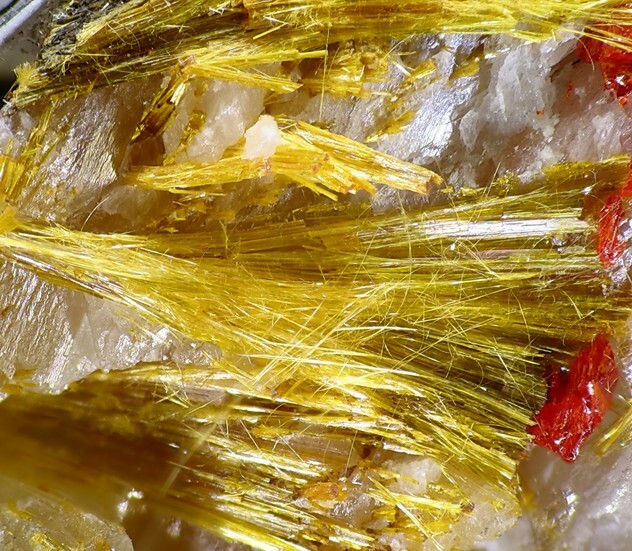 American Mineralogist: 90: 1108-1114. Bindi, L., Bonazzi, P., Zoppi, M., Spry, P.G. (2014) Chemical variability in wakabayashilite: a real feature or an analytical artifact? 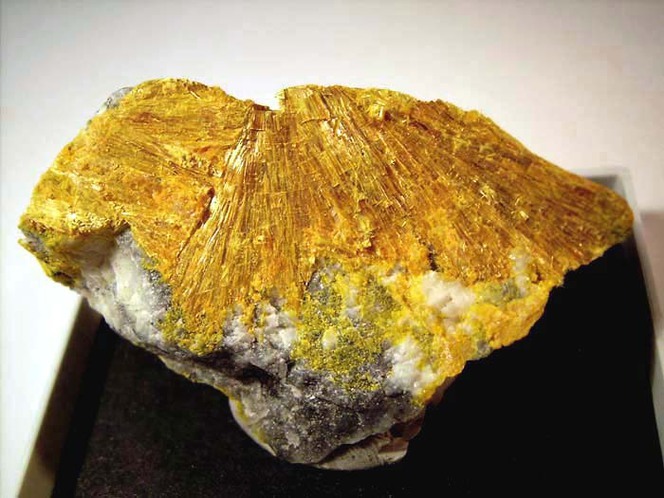 Mineralogical Magazine: 78: 693-702. The following Wakabayashilite specimens are currently listed for sale on minfind.com. Am Min 90:1108-1114; Johan, Z. & Mantienne, J. (2000): Thallium-rich mineralization at Jas Roux, Hautes-Alpes, France: a complex epithermal, sediment-hosted, ore-forming system. J. Czech Geol. Soc. 45, 63-77. Introd.Japan.Min.,Geol.Surv.Japan (1970) 92-93; Anthony, Bideaux, Bladh, Nichols: "Handbook of Mineralogy", Vol. 1, 1990; 松原聰, & 宮脇律郎. (2005). 群馬県西ノ牧鉱山産パラ鶏冠石とアラクラン石. Bulletin of the National Science Museum. Series C, Geology & paleontology, 31, 1-6. [Lapis 11:11-24]; Pekov, I. (1998) Minerals First discovered on the territory of the former Soviet Union 369p. Ocean Pictures, Moscow; Bindi, L., Pratesi, G., Muniz-Miranda, M., Zoppi, M., Chelazzi, L., Lepore, G. O., & Menchetti, S. (2015). From ancient pigments to modern optoelectronic applications of arsenic sulfides: bonazziite, the natural analogue of β-As4S4 from Khaidarkan deposit, Kyrgyzstan. Mineralogical Magazine, 79(1), 121-131.